A new selection of Portals just went up at Citizen in Richmond, VA! Thank you to Sage RVA curator Megan Nolde for putting this all together. The show is up from February 7 - March 30, 2019. Opening Reception on Feb 7 from 5:30 - 7:30pm! Come out and grab a drink while you see the work. 45 Works Heading to E-Town KY! Thank you to Elizabethtown Community and Technical College for sharing my work. Check out this installation of work. Heading towards the end of this residency! I just installed 30 Portals and the newest iteration of Footnotes!! 30 new iterations of Portals. The passed two months I have focused a lot of my time on making monoprints using various techniques using relief inks with plexiglas, paper, and the steel disc used to create each Portal. 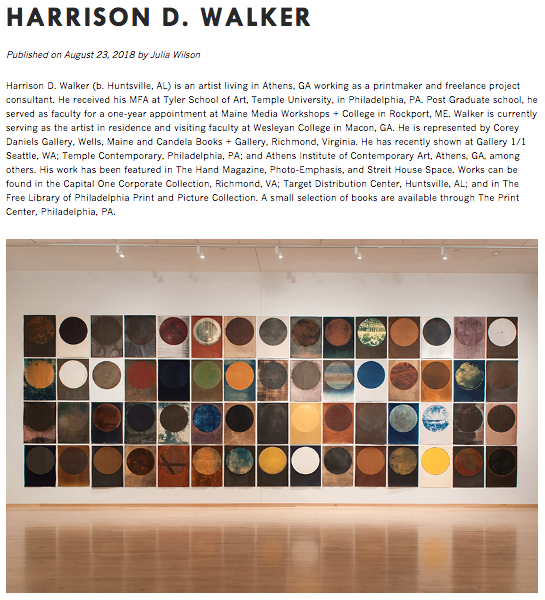 This fall I will be the Artist in Residence at Wesleyan College in Macon, GA. I will be working in the printmaking and photography studios to make new work and push my project, Portals, forward. I hope to create new iterations of Portals, as well as work on the series, Footnotes - all while continuing to update the Manual! Footnotes is a living series in constant flux. I hope to make some more "finished" prints in this series to show either alongside or on their own. Follow me on Instagram to see how they transform over the next few months! I will also teach a Digital Photography course, present a public artist talk, host a couple of informal demos in monoprinting and cyanotype, and mount a solo exhibition in November. I am excited to show two Portals in Seattle this summer/fall. Check out the space if you are in the area! 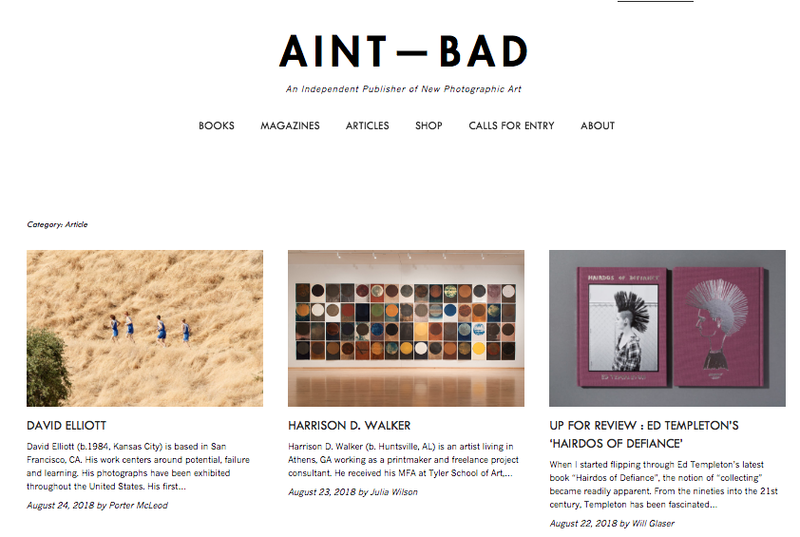 GALLERY 1/1 is pleased to celebrate the 5th Anniversary one of our favorite art publications The Hand - A Magazine for Reproduction-Based Art with an exhibition focused on unique photographic prints by artists that have been featured in the magazine. The exhibition will include the following artists who excel at alternative and experimental photography and create one-of-a-kind handmade prints. Ross Faircloth, Megan Griffin, Claire Gilliam, Sarah Hadley, Jamie Johnson, Antonio Martinez, Paula Riff, Dan Shepherd, Aline Smithson, Ross Sonnenberg, Andrew Sovjani, Brianna Tadeo, Andrew K. Thompson, Harrison Walker, and Melanie Walker. "Harrison Walker describes what he does as creating prints and/as objects. In his first solo exhibition at Candela Gallery, he presents his Portals project. In this series, he uses the most basic elements of photography - light, paper, and chemicals - to explore color, chemistry, and psychological perception. 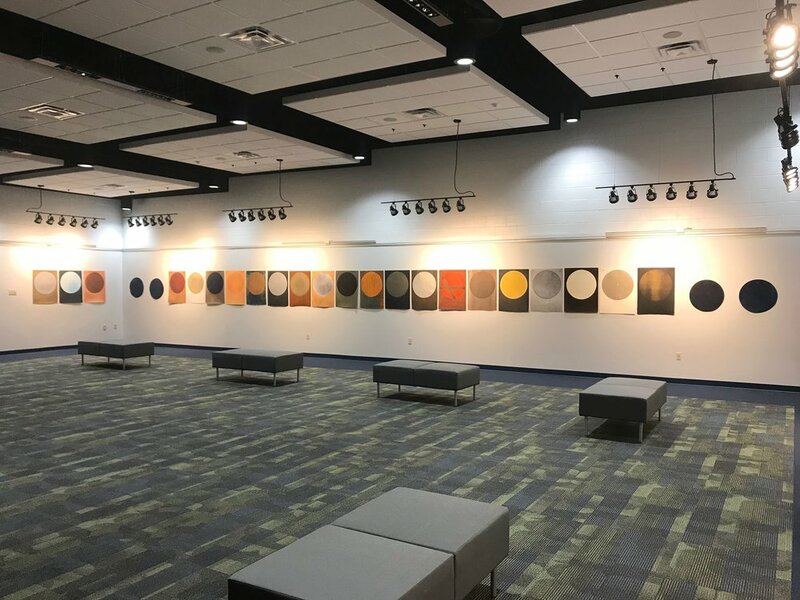 Each of Harrison’s striking images are the same in some very important ways - he uses the same 20-inch steel disk in each piece, placed in the same place each time on uniformly sized paper. And yet there is endless variation in the work, which consists so far of over 130 prints. 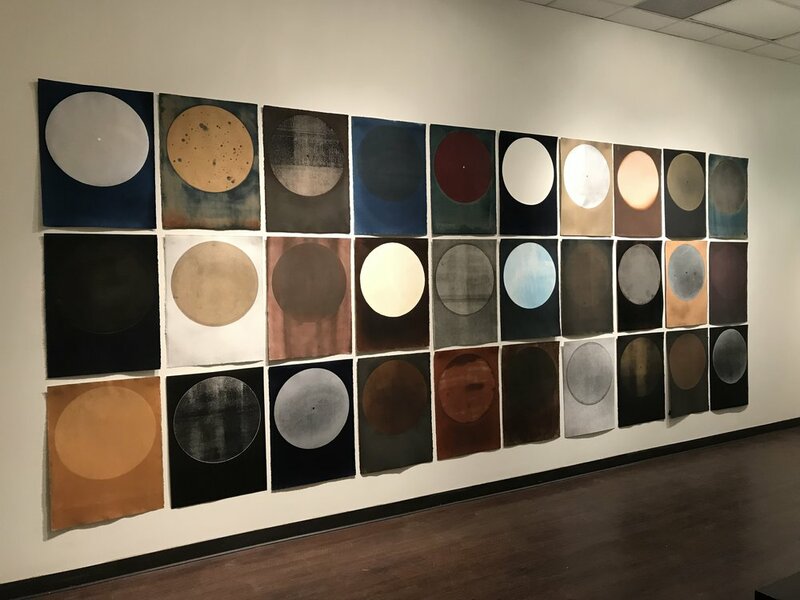 Each of the prints embodies his effort to push the boundaries of what he does not fully understand or control, whether it is the chemical process of making the print itself, the celestial worlds that inspire his work, or the meditative act of looking at the work and the responses it provokes." I am very excited to announce an exhibition of 60+ NEW Portals at Candela Books + Gallery, in Richmond, VA. MAY 24 - JUNE 16. 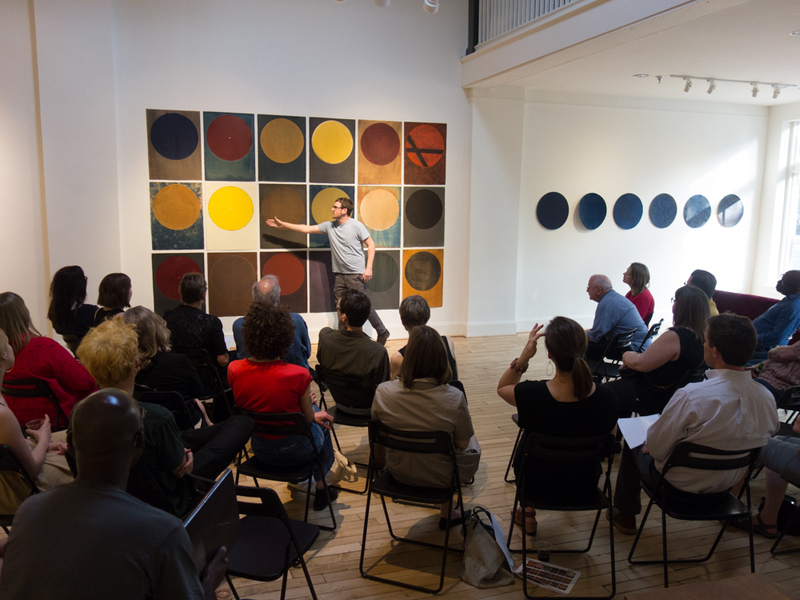 I will be showing along side Chris McCaw, and can't wait to see this work exist in close proximity with each other. Check out the current issue of The Hand Magazine! Issue 20 will have a few of my Footnotes in one of their early iterations. If you aren't a follower of this publication, you should be! 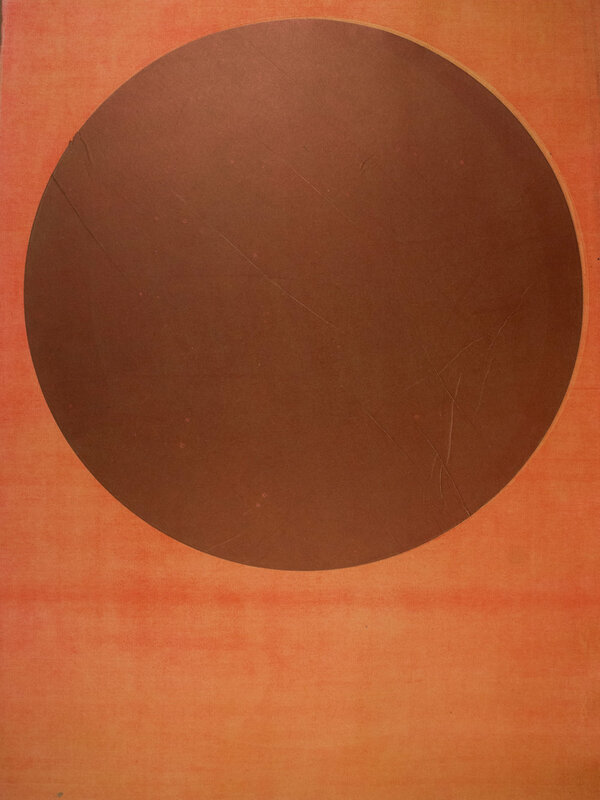 Candela Books + Gallery is showing some of my Portals at the Current Richmond Art Fair at the end of September. If you are in the area I hope you check it out! September 28 - October 1, 2017. Thank you Photo-Emphasis for featuring my lastest series, Portals this week. I loved thinking back to the inception of this project while filling out the interview. Check out the feature Here. Can't wait to see who else pops up on this new publication! 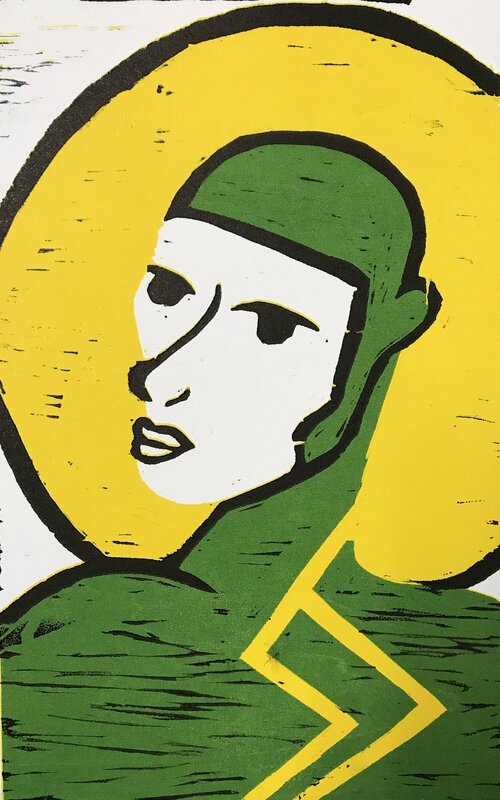 The Print Center's 91st Annual International Competition just posted the online portion of their exhibitions. There is some really great work from a huge range of amazing artists. Three shows are currently on view at The Print Center in Philadelphia, PA. You can check out the links to the online portion Here. I was awarded the Society of Photographic Education Award, and also have a few books for sale in store and in their online shop! I'll be showing some work with a wide range of great artists working in print at the Leedy Voulkos Art Center in Kansas City, MO. The Hand Magazine prints a monthly publication that always has some great new work. I am so excited for the opportunity to show Portals in (almost) its entirety at Corey Daniels Gallery in Wells, Maine!! All but 3 (which are in the UnBound6! Exhibition) will be on view July 1 - 29, 2017. I cant express how much it feels like the perfect space for this work. Corey is interested in the intersection of art and found objects and shows a wide range of objects, paintings, photographs, and sculpture.